When we purchased our light cream sectional sofa we weren't really thinking about the reality of what a dog would do to it. HAH! The color of our sofa and Morgan's paws are not a good mix. We've kept it covered with sheets because as of 2 weeks ago, Morgan can finally jump up on his own [we we're dreading that day]. This past week I posted our couch [which is only 6 months old] on Craigslist. 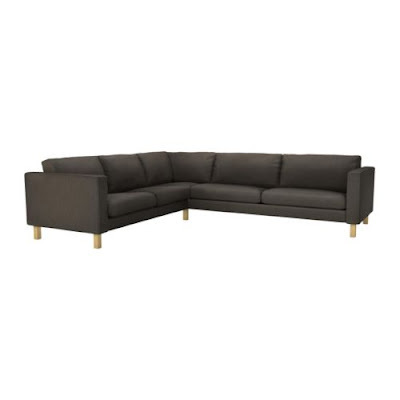 I'm hoping for a sale so we can move forward and purchase a new, much darker sofa. 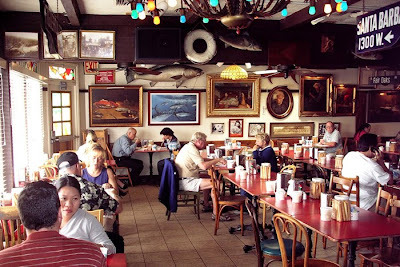 For the last 7 years Mike and I have gone to The Crab Cooker in Newport Beach for Valentine's Day. The food is awesome and the atmosphere is casual [so us!]. Mike usually orders the Alaskan King Crab legs and I go for shrimp on a skewer... they also have the most delicious cheesy mashed potatoes! YUMMY! 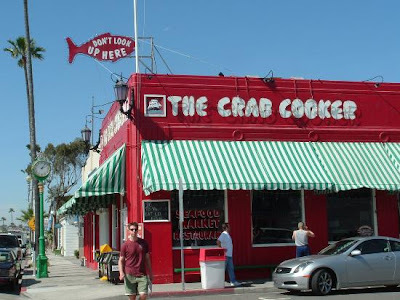 The Crab Cooker used to be a Bank of America. The refrigerator is the old bank vault. Pretty nifty!